Here are the discussion questions that accompany my message, “Messy Ends” from Judges 17-21, which concluded our series, “Flawed Heroes,” this past weekend at Eastbrook Church. When have you seen something beautiful in the midst of brokenness? Has a real-life hero let you down? What happened and how did you respond? 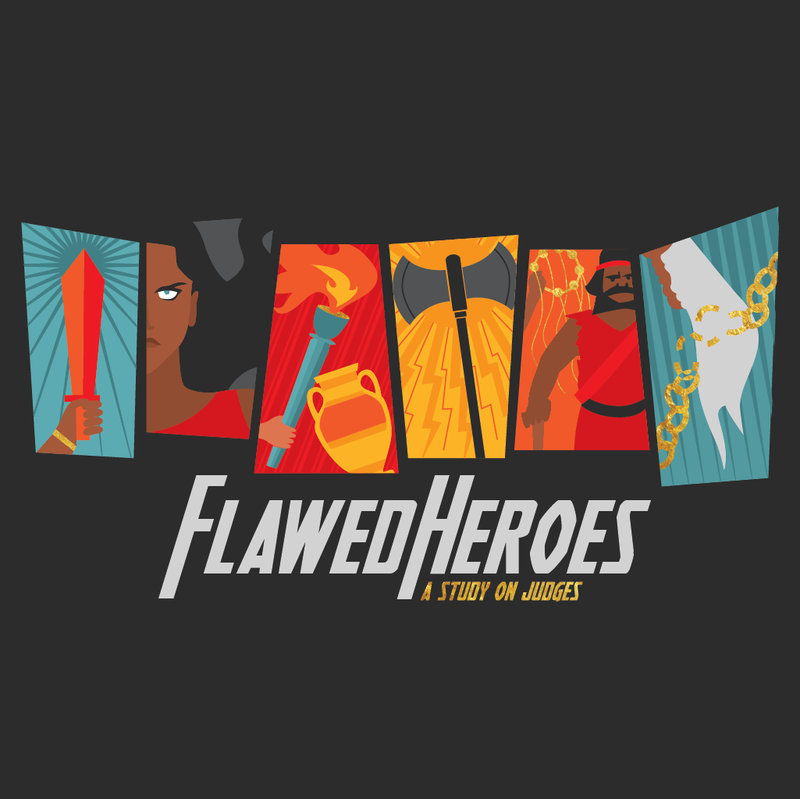 This week, we conclude our series, “Flawed Heroes,” with the last five chapters of Judges (17-21). These chapters are often seen as an appendix, or concluding word, at the end of the book. This is particularly difficult but also important material to read. We will look at it in two sections. Take a moment to pray, asking God to speak to you through His word, and then read Judges 17-18 aloud. This first story recounts deep failures in the religious and community life of the people of God. How would you describe the family life of Micah and his mother? Based on what you read about the Levite in chapters 17-18, what sort of person do you think he is? Why does this matter? The Danites steal the Levite and the idol away from Micah, causing conflict between the tribes of Israel. After that, they annihilate the people of Laish. Why is all of this shocking in light of what you know about God’s plans for His people (see Joshua 24:11-15)? What is one thing that you take away from this story about God, His work, or His people? Now begin the second story of this section by reading Judges 19:1-10. How would you describe the life and relationship of this Levite with his concubine and her family? Next read Judges 19:11-30. A core issue here is the role of hospitality. Why does the Levite avoid the land of the Jebusites (vss 11-12)? What does he find when he comes to the Benjamite town of Gibeah? In one or two words describe the behavior of each: the old man from Ephraim, the Levite, and the men of Gibeah. Background: While this may seem gruesome (and it is! ), the cutting up of the concubine was a summons to war in response to horrific wrongs. Similar situations are attested in other ancient near-eastern literature and also in 1 Samuel 11:7. The remaining two chapters (20-21), describe a conflict that arises between the tribe of Benjamin and the remaining tribes of God’s people. There are three main sections of conflict (20:18-20; 20:21-25; 20:26-48) that form an ironic echo to Judges 1. What changes do you see in the majority tribes’ approach to warfare through this sequence? The end result of this conflict is the decimation of the tribe of Benjamin. Chapter 21 traces the tragic response of the tribes to their fear that Benjamin will disappear. How would you summarize that chapter? Notice that this entire section begins and ends with the same thought: “In those days Israel had no king; everyone did as they saw fit” (Judges 17:6; 21:25). What is one thing that God is speaking to you through this study today and through the book of Judges as a whole? If you are on your own, take a moment to write it down, pray about it, and then commit to sharing that with one person this week. If you are with a small group, share your answers together and then pray for each other.